Psoriasis is a chronic, non-contagious autoimmune disease that affects the skin and joints. It commonly causes red, scaly patches to appear on the skin. The scaly patches are areas of inflammation and excessive skin production. Skin rapidly accumulates at these sites and takes on a silvery-white appearance, usually on the elbows and knees. Psoriasis can vary from minor patches to complete body coverage. It is generally accepted that psoriasis has a genetic component. Skin cells switch from the normal production rate program to accelerated production and growth rate. They are pushed to the surface in as little as 2-4 days and the skin cannot shed the cells fast enough, forming the silvery-white plaque. The redness of the psoriatic lesions is caused by increased blood supply to the area of rapidly dividing skin cells. Whether a person actually develops psoriasis may depend on something triggering a person who has a genetic tendency to develop psoriasis. This in turn triggers the immune system to over produce skin cells. Examples of triggers include systemic infections such as strep throat, injury to the skin, vaccinations, certain medications, and intra-muscular injections or oral steroid medications. Medicated creams and ointments applied directly to psoriatic plaques can help reduce inflammation, remove built-up scale and reduce skin turn over. If you are looking for a 100% natural and non-toxic option that is gentle on all skin types, emu oil might be one to try. 100% pure emu oil may help soothe affected skin and reduce the dryness which accompanies skin build-up. Emu oil is a “tissue nutrient”, and may help to normalize skin cell growth to help reduce the excessive cell growth which causes the plaques on the skin. According to Mayoclinic.com, bathing helps to remove scales and calm inflamed skin. Prepare your skin for the emu oil by first soaking in a lukewarm bath. Add a quarter of a cup of Epsom salts. Do not use hot water or harsh soaps; tepid water and mild soaps with added fats are a better choice. Pat your skin dry with a soft cotton towel, then immediately massage the emu oil over affected areas to soothe and moisturize. Emu oil is believed to have anti-inflammatory effects. It is also rich with the essential fatty acids Omega-3 and Omega-6, which have beneficial effects on skin, and contains the antioxidant vitamins A and E. In addition, the lack of phosphorus in emu oil mimics the lack of phosphorus in human skin, so the oil is able to effectively penetrate skin tissue layers better. Wrap the affected areas with clear plastic wrap after applying the emu oil, and leave it on overnight. Remove the covering in the morning, and wash away any scales that may have sloughed off during the night. Reapply the emu oil after gently blotting the skin dry. In addition to the morning use and the after-bath application, you should apply the emu oil one more time during the day. 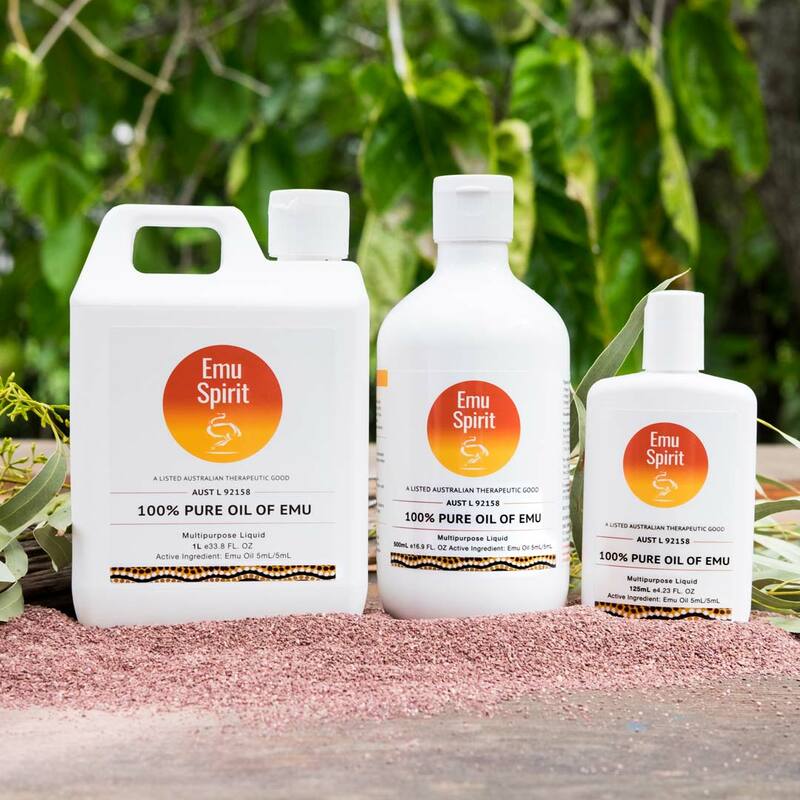 For added benefit, you can also take Emu Spirit’s Oil of Emu Omega 369 Capsules, or incorporate a spoonful of Emu Oil into your diet. Finally, take charge of your overall skincare routine and keep your face, body and hands nourished and hydrated using the Emu Spirit skincare range day and night. Subscribe to our newsletter for special offers! Can Emu Oil Promote Better Gut Health? What Are Comedogenic Oils & Their Ranking? Emu Oil for Hair Loss? Is Emu Oil Effective for Treating Osteoarthritic Hand Pain? What are the Benefits of Emu Oil Capsules? Copyright © Emu Spirit .